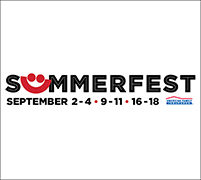 MILWAUKEE (AP) — Summerfest ticket and beer prices are increasing for the second year in a row, despite two solid financial years for the nonprofit firm that runs the music festival. Single-day ticket prices for 2003 will increase $1 to $11 in advance and $12 at the gate for adults, Milwaukee World Festival Inc. Executive Director Bo Black said Tuesday. Admission for adults older than 60 and children younger than 10 will cost $1. A three-day pass will cost $30. The cost of a 16-ounce cup of beer is also rising 50 cents to $4, Black said. The Milwaukee World Festival Board of Directors approved the beer and ticket price increases in a closed-session meeting last week. Even with the price increases, the Milwaukee World Festival 2003 budget projects $459,117 in net income, roughly one-quarter of its earnings in each of the last two years. The company banked more than $2 million in both 2001 and 2002, building its cash reserve to more than $11 million. "You're talking about a reserve fund that looks hefty, but it's a reserve fund that could be depleted in one year," Black said. "If you have four or five days of rain, you could lose $4 million. "If another 9-11 hit during Summerfest, you would lose $1 million per day." Black also said that nearly $4 million of the reserve fund had been designated for a capital improvement fund created to pay for renovations in 2011. The increased revenue will also offset increases in labor and security costs, she said.